The GAMBOFIX Marino High Quality Merino Adhisive is used for marine and water-resistant applications and it is made from RM'S of Kurare, Japan. The company is a leading Manufacturer, Exporter, & Supplier of High Quality Merino Adhisive, which can provide 48 hours of continuous water resistance as well as one hour of boiling water resistance. Providing superior bonding in marine plywood, the High Quality Merino Adhisive offers higher coverage. 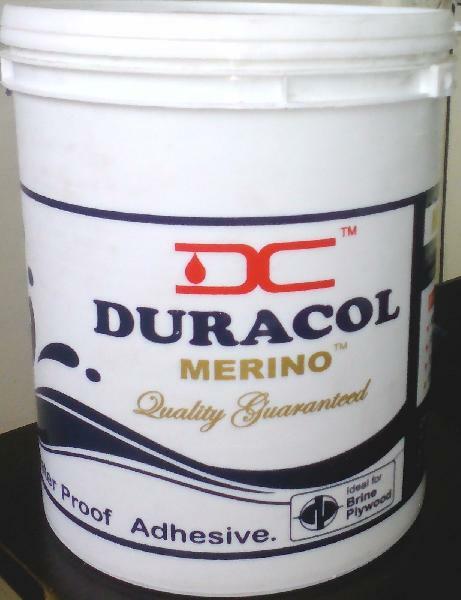 The High Quality Merino Adhisive is used for bonding wood, plywood, laminates, veneers, particleboards, and MDF to each other, with the application areas being kitchen units, wall units, and bathrooms where exposure to water is high. Press the two surfaces together and keep under pressure until the adhesive dries completely.